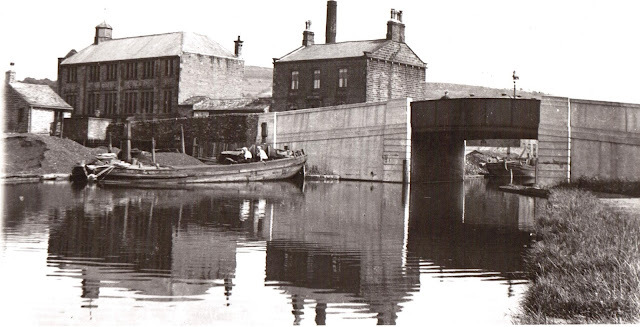 The 127-mile canal from Leeds to Liverpoool was completed 200 years ago. Work on the stretch through Silsden began in 1769 and the first two boat-loads of coal arrived in 1773. Buildings at the wharf where Silsden Boats (Holidays) Ltd. are based have not changed greatly in more than 200 years. The following photographs show the post-war transition of the canal from its original main purpose of ferrying freight to become a major pastime of leisure cruising. 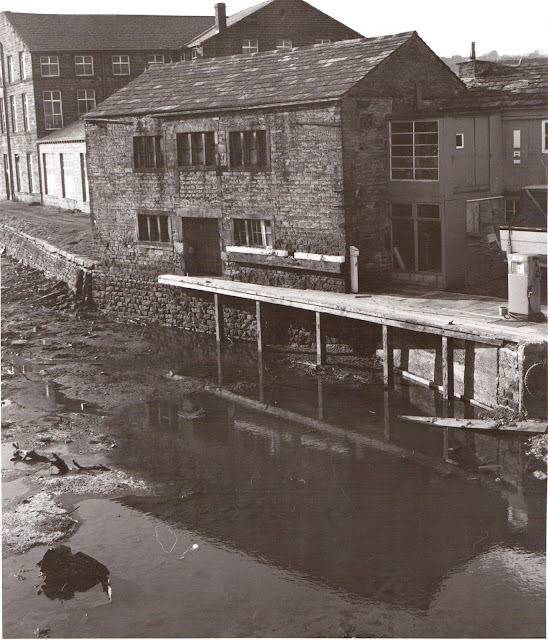 The eight photographs above are from the late Kevin Bower's collection. 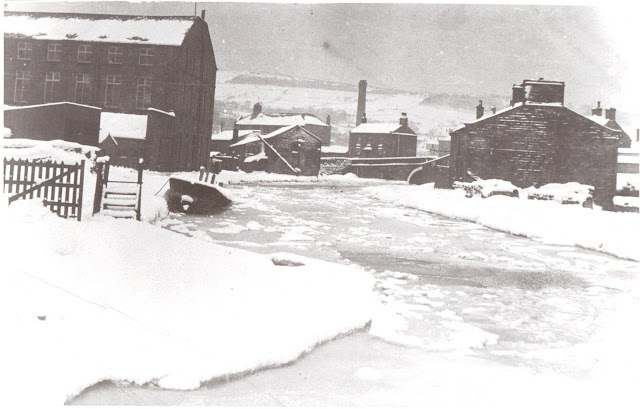 An historic view of the buildings that are now the offices of Silsden Boats. 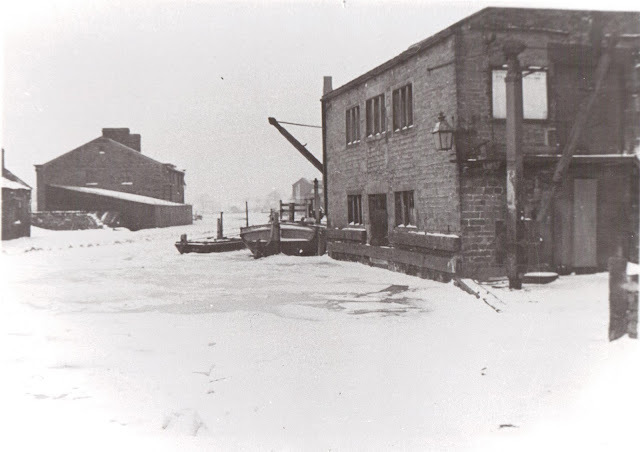 This photograph and the following five views are from the late Will Baldwin's collection. 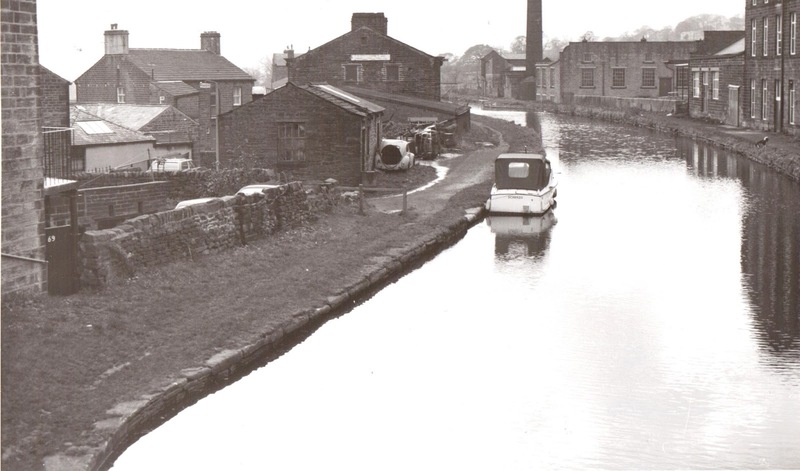 The canal at Kildwick (above and below) showing the Priest Bank Lane bridge. 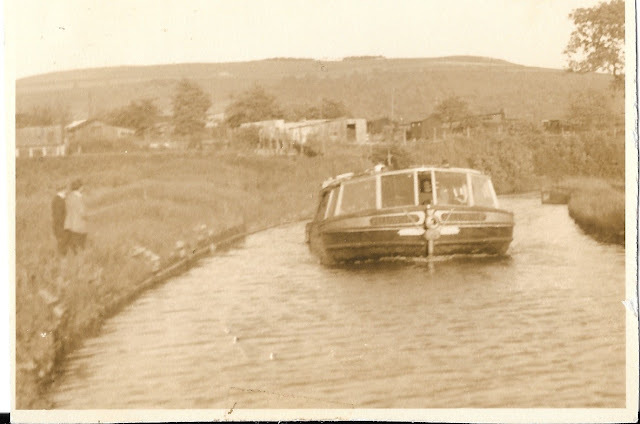 The canal bend at Low Holden with on the left a wooded incline that was a popular play area for Silsden children of yesteryear. 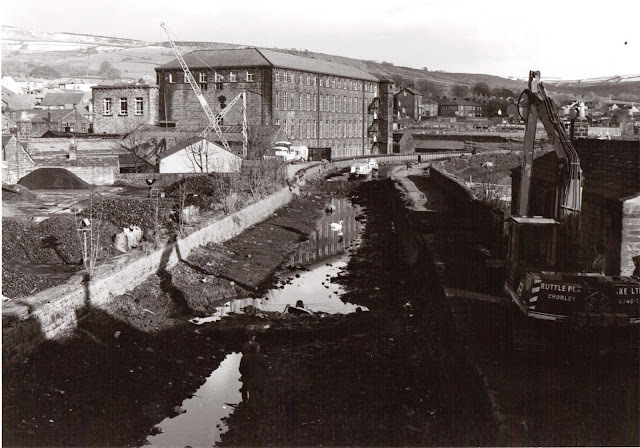 Canoeists pass the Harwal Works mill site which is now being transformed as a housing development by Skipton Properties. 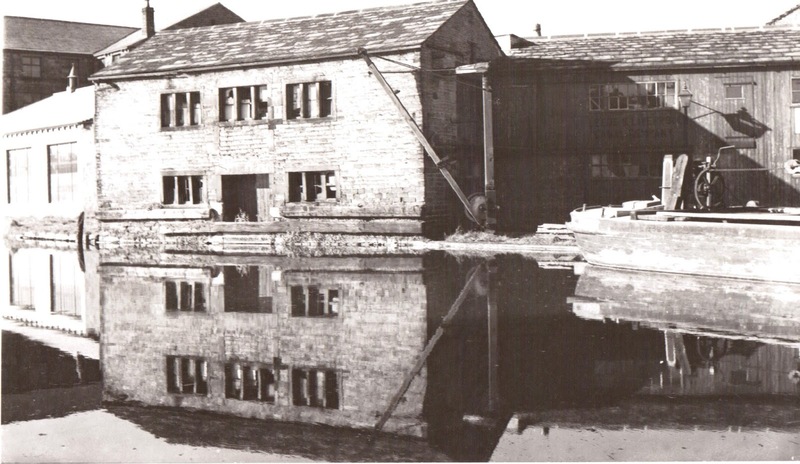 The photograph above and the view below are by courtesy of Silsden Camera Club. Above and below: early days of the housing development at Waterside where canal-side gardens have been colourfully cultivated over the years. 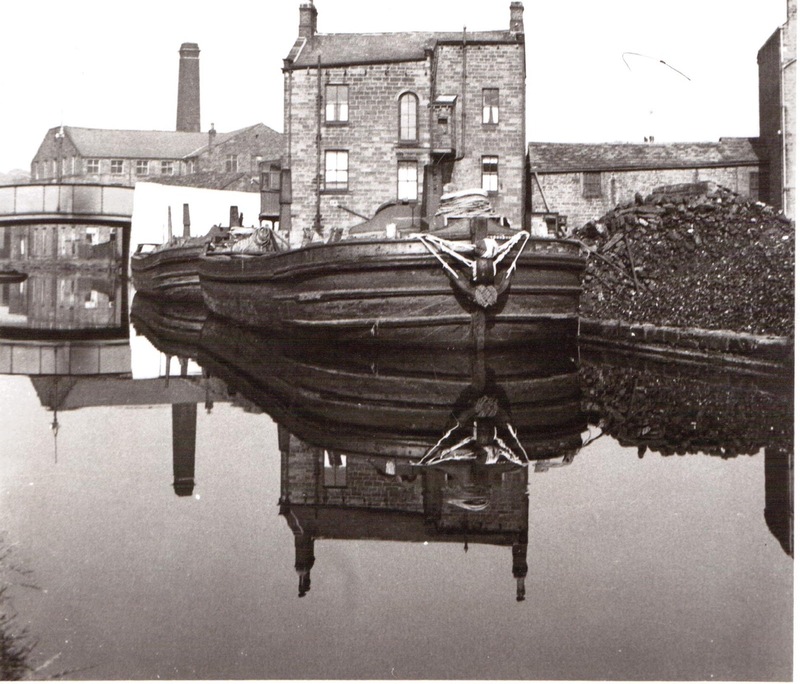 The photograph above and the two similarly reflective pictures below are by Brian Whittingham, a member of Silsden Camera Club.